A full-featured half-shell, the Oakley DRT5 MIPS Bike Helmet is the kind of tech we've come to expect from Oakley Low-profile and form-fitting, it stays put with the help of a 360° BOA® system, gently yet firmly surrounding your dome in a force field of MIPS. Not only does this helmet keep your brain from rattling around in case of a crash, but it's looking out for your shades: it diverts sweat from them when they're on your nose, and stows them securely out of the way when you don't need them. 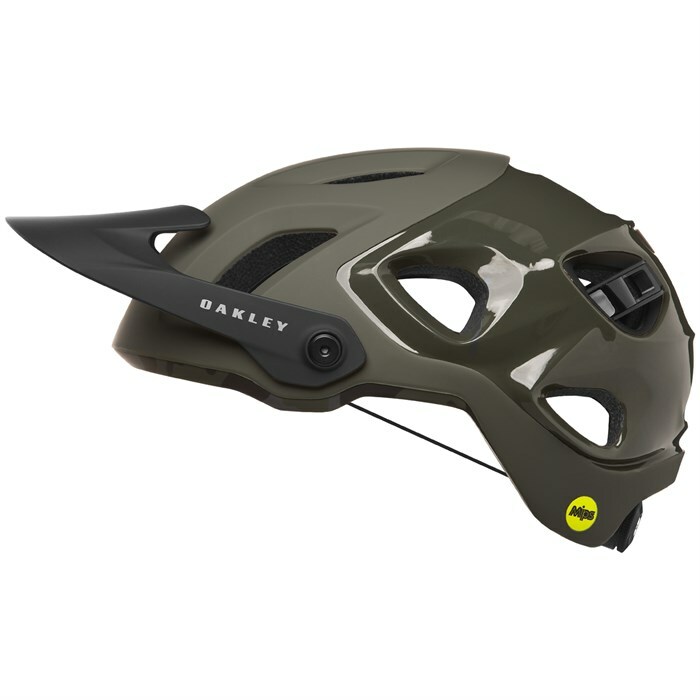 The Oakley DRT5 MIPS Bike Helmet protects, so you can attack. MIPS Brain Protection System  The MIPS® Brain Protection System is a helmet integrated, low friction layer designed to reduce rotational motion transferred to the brain from angled impacts to the head. BOA FS1-1 with 360° Fit  The Boa® FS1-1 is a height adjustable 360° design that delivers an exact fit, perfect for you every time. X-Static Brow Padding  X-STATIC® harnesses the power of silver to create a powerful technology that inhibits the growth of bacteria on fabric, eliminating odor for the life of the product. Eyewear Landing Zone  Stash your shades securely when not in use.